The roll-on applicator is a huge convenience plus -- it's always annoying to have to rub in with your hands, then handle the bottle again with greasy hands, then wash your hands, blah blah blah. 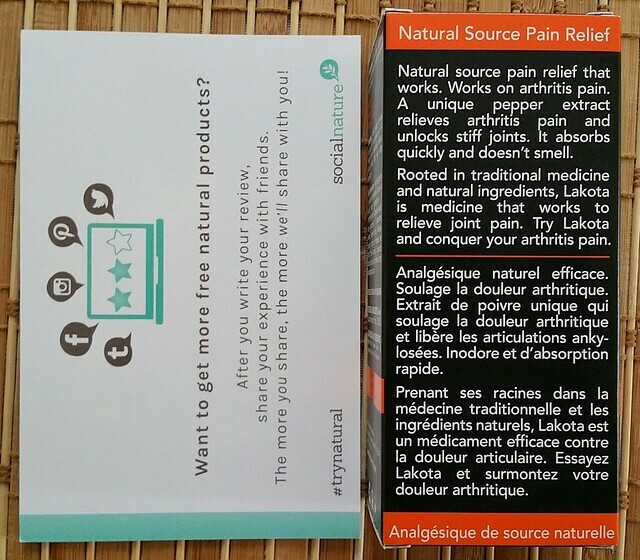 At the time I received the sample, my mom happened to have joint pain in her feet, so I let her try it and she agreed to use it for a minimum of one week, four times a day per the Directions. (But it turns out she only used it 3x per day). 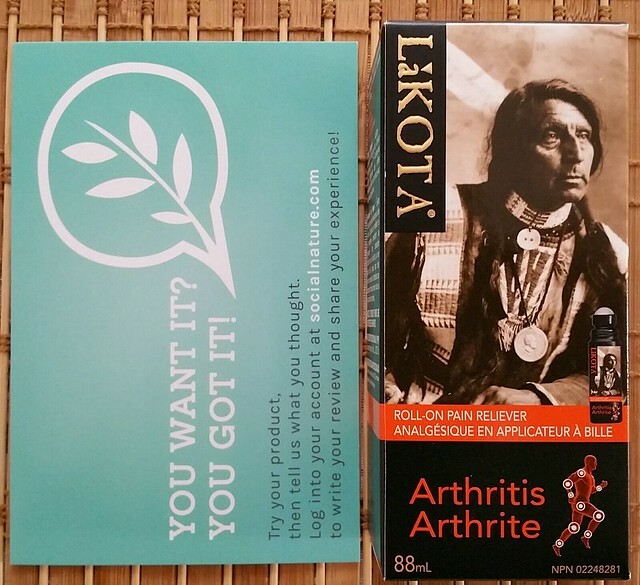 After a couple of days of using Lakota Arthritis Roll-On Pain Reliever, the pain was gone, which of course made her very impressed--So impressed that she said she no longer wanted to use Voltaren Emugel, which she had been using for aches and pains in her feet and had mild relief. During the week, if she hit her elbow or other joint against something and the area hurt, she applied Lakota Arthritis Roll-On Pain Reliever and said it was effective. Because it was so surprisingly effective, she said she'd buy it no matter the cost, and was interested in anything they had for headaches. 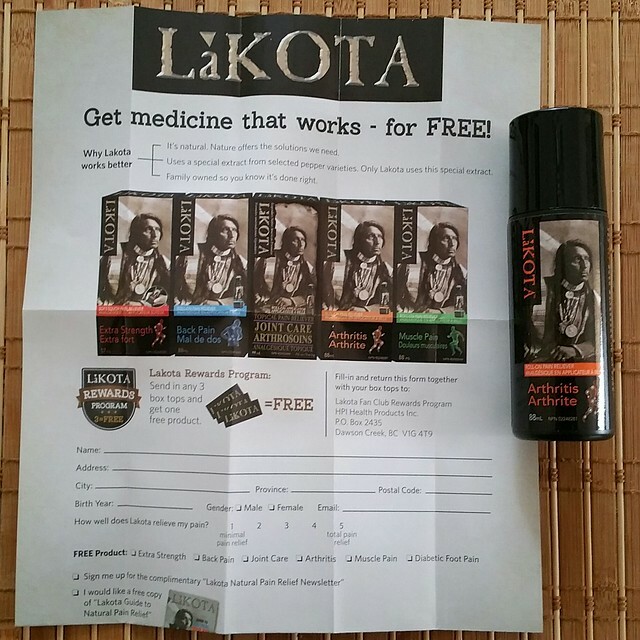 I didn't have any attacks of gout or other complaints so I did not personally try Lakota myself.